Below, with Ben’s kind indulgence, i copy a letter from my colleague Ben Keith of StarSports, another major independent – with his take on the free offers pervading large firms during their current market share war. I am bemused as to why all of the firms are crying in the paper today about having a bad Cheltenham. Surely when you don’t know how to bet to figures, you want to be the punters pal the whole time, and you are simply trying to impress the clueless stock-market with new accounts, you must expect to do your conckers. Why would you make a sad and unlucky face afterwards? The concessions the firms were giving during the festival were nothing short of ridiculous. The real professionals like Cyril Stein must be turning in their graves. Everyone who knows the game properly knows that you find good punters on the off days. These are the real purists who are actually regular punters. They have been looking forward to cheltenham all year and want to bet. The other punters who appear for Cheltenham, Aintree and the World Cup are once in a blue moon merchants – why would you give them free bets and concessions when they are going to be gone in a week? We live in a greedy world where everyone follows everyone else with concessions anyway so it doesn’t make any difference. We lost over Cheltenham, but at least I can say we laid punters proper bets on all of their selections, had value ourselves, and that we were busier than ever laying GENUINE punters. Not easy getting a bet on horses these days. You hear it everywhere. Forums, papers even telly. Bookmakers roundly criticised for offering inflated odds on horses, then laying them to derisory amounts. It rather sticks in my throat to be in any way associated to such behaviour. I mean I came from a father who epitomised fearless in laying – often standing in the back lines at tracks he would dominate the far more cautious firms at the front. I took over that business some 20 years ago now, and I’ve tried to distance myself from restrictions and £10 bets. But this isn’t about me. 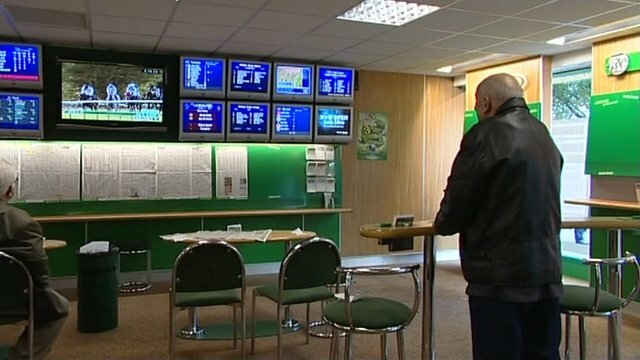 Is the criticism levelled at modern day bookies justified? If you’ll indulge, I shall try to put this difficult subject into context. Bear in mind there are broadly 3 different arms of the industry involved here. Exchanges, large bookmaking ‘chains’, and independents. One of the things that strikes me about the complaints is they’re rarely levelled at exchanges. To my mind they’ve always been the smart ones. By investing heavily in marketing and advertising, you sanitise your product from some of the more important critics, such as journalists. Don’t bite the hand that feeds, even if it lives under a rock. Yet they often claim the moral high ground. Good job there lads. You see, the deal with exchanges is simple. First off most punters are small, and don’t wager more than £20 in a bet. Second, it’s accepted you can’t get a place bet on the same. I don’t see an exchange offering an each way bet. Third, not easy to blame the exchange for what is often pitiful liquidity levels, when you’re supposed to pony up and add to the ‘lays column’ is it? That aside, the effect of exchanges on British Racing margins cannot be overstated. Obscenely they govern the on course bookmakers, many of whom have turned into arbers, playing exchange odds off against what punters will take. Low liquidity is ridiculously easy to manipulate. If you’re trying to get 10 – 20 thousand or more on a horse, simply feed in a relative low amount into the lay side and watch it drift as bots and the ill-informed react. Alternatively, pick a random ‘gambling stables’ no hope 33/1 chance, pop a grand or two on it and watch it collapse to 9/2. In the meantime, you’re favoured selection drift from evens to 2/1. Your 20 grand profit becomes 40, for an investment of 1. It’s a childishly simple example. Surely it’s not that easy you say? Oh but it is. Plus if you have the second in the market ‘squared away’, in knowledge or integrity terms, you’re flying. It’s not just the track which obeys the pennies on exchanges these days. It’s the off track ‘odds compilers’ at the large bookmaking chains. And here’s their sub plot. Go onto LinkedIn, type in ‘Corals’ or ‘William Hill’ and you’ll be met by picture after picture of guys in their 20’s – fresh faced out of school, describing themselves as ‘traders’ or ‘odds compilers’. It’s a grand term, or used to be. In my time, such individuals would spend years working hefty on course markets, working figures and percentages. Or perhaps work their way into the trading room after due time in the trenches answering phones. But in an environment which puts so much stock in exchange movements, all these spotties really do these days is monitor the price movements on their screens and shave their odds appropriately. Same as most racecourse clerks do. Neither group are particularly skilled. I accept some may have an inflated view of their abilities. That comes with youth. In this game, experience counts for everything and they bring little of that to the table. Policies such as these have led to large concerns being assaulted by a new two new breeds of punter. Arbers – very much the same as many track bookies, and those putting ‘job’ monies on for the connected. Both groups, in a world of odds which are more often than not both unrealistic and manipulated, are extremely difficult to beat. As a consequence they’re restricted. By extension this has a knock on effect for the less ‘professional punter’. An accident of circumstances I suppose. Similarly if you spend your time following certain tipping lines, backing shorteners, betting mainly on the inflated morning odds markets, backing each way when the favourite is odds on or happening to back the same selections as per say Patrick Veitch, you’ll find your half-life as a punter with such firms shortened dramatically, along with what you can get on. It’s also important to understand the world of Ralph Topping. In his time, boardmarker to boss, he’s witnessed William Hill turn from a traditional bookmaker to a casino operator. This is a key point. Let’s call a spade a spade here – were I king Ralph, as things stand, I’d do exactly the same as he’s doing. You see the oil in the machine is precisely that. The machines. Large chains have engorged themselves on legislation permitting them to site shops anywhere and that growth remains unchecked. Witness the recent case in London against Paddy Power, brought by a Newham Council who argued they had piles of shops already in the region and that the shops were merely a vehicle for their Fixed Odds Betting Terminals. FOBTs. The case was quashed on the grounds there’s no law against serial proliferation of betting shops. Let me be honest here, Newham was right in my opinion. They didn’t need the shop, nor its machines. This situation is true in many of our towns. But Paddy won the day, arguing they made a ‘positive contribution to High Streets’. Of course that’s nonsensical hyperbole. Essentially though Newham hadn’t proved their argument and were kicked out. Each FOBT generates a gross profit of circa £900 a week for such firms – and they can have 4 in every shop. That’s £3600 in gross profit a week. Add in a ‘manager’ who gives out the change, a cashier, and a rolling ‘relief manager’ and you’ve a very low staff cost, maintenance and risk business. Providing that is you don’t get too involved in the poor margin horse racing product. This is where leaders such as Paul Bittar are so blinkered in their view that more racing equals more levy. A childishly simple claim, and one with no data to support it. The reality is quite the opposite. A punter has a fixed amount to spend. More racing won’t make him draw out more money. The machines claw for his cash, and they’re clearly addictive. When the racing is competitive, it becomes the draw.If it’s low grade 5 runner races on offer, they become the background rather than the vehicle that pulls people into the shop to start with. The BHA is far too tight in with the bookmaking-exchange fraternity to be healthy. Ostriches see a little more. Am I a little unfair to the new Chief Exec? I don’t believe so. Within a month of his arrival he had thrown his hat into the ring with big business and declared 1450 as the right ‘level’ for Racing. Was that an informed decision based on hard data he hadn’t been provided with by the way, or just towing the establishment line? I’ll let you decide on that one. There isn’t a third option, except for the PR merchants from the chains. I haven’t mentioned the casino side of most modern day bookmaker or exchange businesses. These super profitable products yield enormous profits. Why focus your attention on the 4.05 at Plumpton and the risks involved, when you can push your customers to bet on the areas of your business you absolutely know represent a no-lose situation. To boot there’s been a substantial market share war going on between the large concerns over the last 3 years. It’s routine for the morning price market for a feature race on a Saturday to be actually overbroke between the majors. The King George at Ascot ran to 89% at best odds available. This represents a net loss to racing of 11% in real terms. Will such top of the market offers make it more likely you’ll get your £100 each way wager? Evidently not. Of course the whole margin debate is pretty much a nonsense these days, except perhaps for Bruce Millington who majors on the 9.30 at Wolverhampton. So many horses effectively priced out of events; we never saw horses going off at 400/1 in the sixties and seventies. One of the major issues affecting the laying of bets is the integrity of the sport. The bottom line is, the lower the prize fund available, the more likely the integrity of the event will be affected. The great scandals in racing of late can be directly attributed to serial failures at the BHA who should insist on a strong, well-funded and staffed integrity division. In fact in a period where there’s more racing than ever before, the integrity division at the BHA has had its budgets slashed. Being kind it’s poor management, but I lean towards a dereliction of their responsibilities to police the sport. The key phrase ‘shut the stable door after the horse has bolted’ wouldn’t be out of place here. All the spin in the world from Mr Bittar cannot hide the fact it’s grossly understaffed and most certainly lacking in the experience necessary to break down the vital betting markets. In fact, in a bizarre twist of fate, it’s Betfair who highlight most of the scandals perpetrated on its own exchange, but then only when amounts are excessive. Hong Kong has 238 people tasked with maintaining the integrity of its programme, which races 6 days a month. Here with 1450 fixtures we have less than 20 including those running around testing horses and the like. The numbers don’t stack up. It’s time to get proper with integrity, and not just when Channel 4 ask the questions on doping. Non-triers and ‘explosive last to first’ gambles have become the accepted norm. Why? How does it affect your punting dollar? 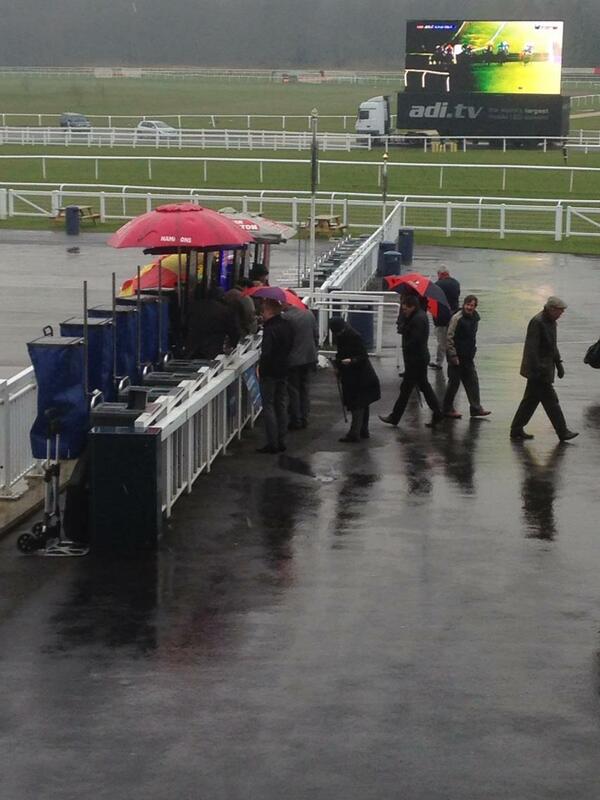 Will it be easier or fairer to bet when people in the industry don’t trust the ‘lesser’ events? One smaller factor to consider is the time delay. On course traders react swiftly to volatile exchanges in proffering odds. However, the actual shows fed into betting shops will reflect those movements by anything between 1-2 minutes later, and may be made up by some trader betting to a sixth of the odds on the place book. This creates a clear arbing situation of betting shows vs exchange odds. 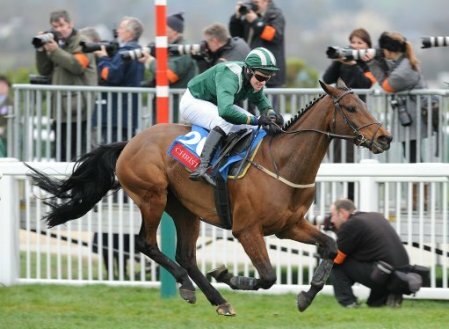 Don’t forget the modern day punter is armed with super fast broadband links to exchanges – they know the reality and can gain significant advantage over the bookmaker in the High Street. How do these points relate to how much you can get on? Well you have to understand what you’re betting on; racing is up against the other products a bookie is offering. Sure if you do your nuts you can call your own tune with any bookie. That’s obvious. But if they don’t know you – and you just have a lucky run? Well I’m afraid the outlook is dim. Exchange – On Course Traders – Delayed shows to LBO’s + Glut of Racing = Low margin out of date product open to serial manipulation v Fixed Odds Betting Terminals and casino products. The last cog in the wheel are the independents. They’re either shop based, or running telephone and internet operations such as my own at geoff-banks.com. Many do not possess the vital casino products, nor are they able to operate relief manager situations to rotate their staffing and keep costs down. They shoulder increased share of costs such as taxation and Gambling Commission fees and they’re competing with offshore low cost firms to boot. Smaller firms tend to rely much more heavily on their racing product. As a result they’re struggling to remain competitive with set down by firms who are reluctant to lay much more than an egg at those paper odds. Does it really matter if they survive, any more than does it matter if the on course market does? I’ve heard the argument for natural selection in business. And I fundamentally disagree. In my view, it’s an unhealthy situation. Big business is getting bigger, they’re paying less taxes than small business and most certainly giving a vastly inferior standard of service. Who hasn’t sat on a phone line to speak to a world weary operator with little training or the ability affect change to improve the lot of the customer they are serving? Decisions are made at boardroom level by ‘executives’ who won’t have to sit waiting to be served by the individuals they employ. They’re in no way into ‘customer facing’ or ‘customer focussed’ initiatives. They’re about money. The internet has most certainly improved many areas of our lives. But unchecked it spells the death knell for many businesses we used to take for granted which are the very fabric of the decent society we grew up in. I’m one of life’s survivors – I lay a fair bet. My boys answer a call within two rings, or answer a textbet within a minute. But businesses like my own are in the minority. The bottom line is: the larger the firm, the worse its service standards. But they’re cheap. They offer deals and money back offers and price guarantees. If you want real change in the service you receive, including how much you get on – you have to accept such standards involve you being prepared to take slightly less in return for a more civil way to bet. It’s a choice. Want an exchange price? Accept it’s only going to be to their stakes. Not a lot these days. Ryanair aren’t British Airways, and they treat their customers with a disdain that’s breathtaking. But they’re cheap. They lead on low cost travel without frills or service standards or conduct codes respected by rivals. So are Paddy Power, Bet365 and William Hill. If you believe in SP guarantees, money back if your horse falls and so forth, all well and good and they will happily accommodate you to lower stakes. It’s simple, you cannot offer the top of everyone’s market and lay whoppers. So bet away with the offshores but expect to pay for it elsewhere.